The kickoff time and television coverage has been set for Georgia’s first three games of the 2018 football season following an ESPN release on Thursday. The Georgia Bulldogs open the 2018 season at Sanford Stadium in Athens against the Austin Peay Governors on Saturday, Sept. 1. The game has been set for a 3:30pm ET kickoff and it will be televised by ESPN. On Saturday, Sept. 8, the Bulldogs open SEC play at Williams-Brice Stadium in Columbia against the Eastern Division rival South Carolina Gamecocks. The Bulldogs and Gamecocks will square off at 3:30pm ET and the game will be broadcast by CBS. Georgia returns home to host the Middle Tennessee Blue Raiders on Saturday, Sept. 15. The game will be televised by ESPN2 at 7:15pm ET. The Georgia-Florida game at TIAA Bank Field in Jacksonville, Florida is also set with its usual time of 3:30pm ET and it will be televised by CBS. The 2018 SEC Championship Game will be played at Mercedes-Benz Stadium in Atlanta, Georgia. The game is set for 4:00pm ET on CBS. 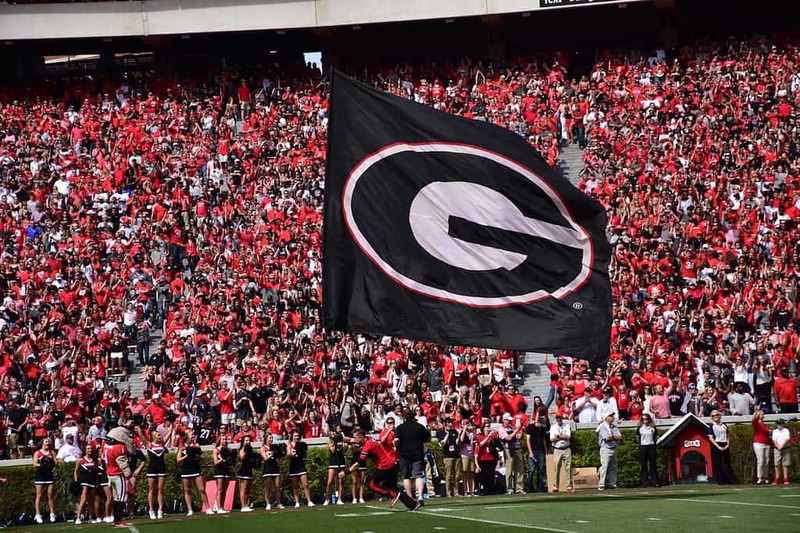 Georgia’s remaining kickoff times will be announced 6-12 days prior to the date of the games.